This Charbon chemo scarf looks like an ingeniously draped headscarf. It’s easy to slip on: just tie a knot in the nape of your neck and that’s all there is to it. 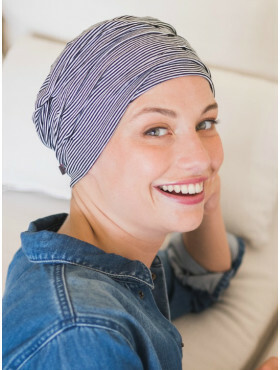 The perfect cancer scarf to protect your sensitive scalp after hair loss and keep you looking beautiful.